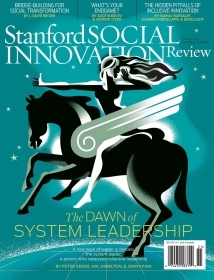 Organizations—whether companies, nonprofits or city governments—are often under tremendous pressure to grow. At times, though, getting bigger is the wrong aim. In some cases, organizations are more effective when they’re smaller. “Increasingly,” wrote Peter Drucker, “the question of the right size for a task will become a central one. Is this task best done by a bee, a hummingbird, a mouse, a deer or an elephant? All of them are needed, but each for a different task and in a different ecology.” In other cases, companies need to pare back and refocus before they can grow again in a healthy way. We explore three organizations that did just that: the technology company Basecamp, the nonprofit Juma Ventures and the city of Leipzig, Germany. Every organization, good or bad, faces pressure to grow. Serving more folks, in turn, requires higher headcounts, fatter budgets and added infrastructure. And it brings a certain luster to those executives in charge. Who doesn’t want to lead a giant? Yet growth doesn’t always make sense. Sometimes, in fact, getting bigger is precisely the wrong thing to do. The headlines are replete with stories of organizations that have pursued higher volume at the expense of quality. (Think, for instance, of the rough patch Toyota hit in 2007.) Such behavior “confuses fat with muscle, and busy-ness with economic accomplishment,” Peter Drucker wrote. The Drucker Institute’s Phalana Tiller visits St. Michael’s College in Vermont, which is laying plans to get smaller: 10% fewer students and 10% fewer faculty. Drucker understood the importance of market standing; if an enterprise commands too tiny a share of a given industry, he warned, it “will eventually become marginal.” Yet he also recognized that there are situations in which being small is what’s most effective. Done right, shrinking can be immensely beneficial. Like a fruit tree that needs to be pruned, some organizations must get smaller in order to grow the right way. What follows are three cases—of a business, a nonprofit and a city—in which wise winnowing preceded renewal. Neither ‘big is better’ nor ‘small is beautiful’ makes much sense. Neither elephant nor mouse nor butterfly is, in itself, ‘better’ or ‘more beautiful.’ Size follows function. Last year, a Chicago-based web application firm called 37signals faced a problem: Its people were endlessly inventive. The company’s principal product was Basecamp, a project-management tool that accounted for 87% of its revenue and 90% of its revenue growth. But enthusiastic employees had also come up with a couple dozen more applications. Among them: Ta-da List, a listmaking app; Writeboard, a text-editing program; and Sortfolio, a visual directory of web design firms. Some of these products had already been laid to rest for failing to deliver sufficient results—a process that Drucker called “planned abandonment”— but others were still active. Highrise, a contacts manager, was the company’s second most popular application, but in many ways it had been neglected, as had several other products. With only about 40 employees, 37signals could not attend to its mounting portfolio without staffing up. “We’d been having some internal head-butting about how big our company should be,” recalls David Heinemeier Hansson, chief technology officer and the business partner of 37signals co-founder Jason Fried. 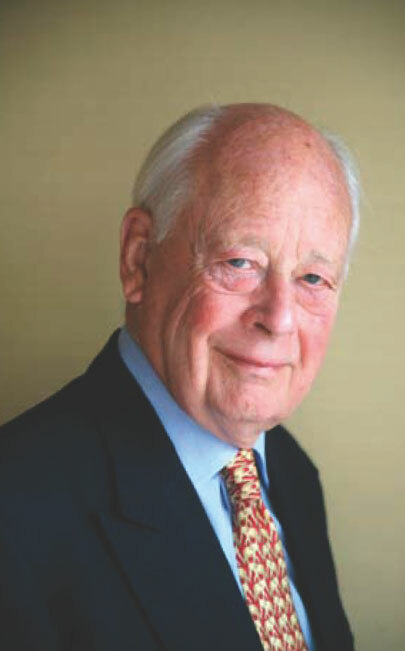 To Hansson, keeping the company small was essential to preserving one of the things employees most liked: an informal, close-knit culture. Fried sympathized with Hansson but saw no way around expansion, given all the promising products that had been allowed to languish. Payroll, he thought, must quickly climb to 60. Such was the tension confronting the privately held company last summer when Fried went on his honeymoon—his first break from the office in years. It was during his time off that Fried reconsidered his position. As he reflected more, he came to believe that offering fewer products was actually preferable to increasing in size. And not just fewer products, but one product: Basecamp. Further, Fried decided, the very name of the company should change: 37signals should be known as Basecamp. A week later, everyone gathered and Fried laid out his plan. 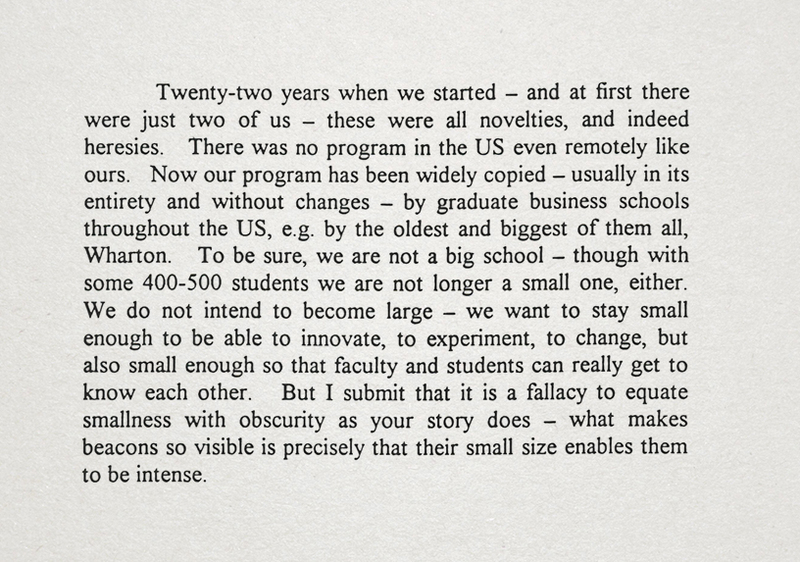 “The idea made a lot of sense to me,” says Hansson, who had been pushing for smallness. But others were unconvinced. Coming up with nifty new products was part of the company culture.  How, then, would employees channel their creativity if Basecamp was suddenly the whole ballgame? Beyond that, 37signals was a respected name in the technology world. Why lose it? Customers, meanwhile, had come to depend on the products that Fried wanted to whack. What could be done for them? And, most fundamentally, was it really wise to bet everything on a single offering? Growth is typically chased by companies looking for an endgame or to satisfy the ego of the founder. We put culture ahead of growth. The nonprofit Juma Ventures had to get smaller before it could get bigger again. Over the course of the discussions, Fried and Hansson felt that these worries, while legitimate, could all be addressed. The creativity of the company could now be channeled toward Basecamp exclusively rather than diluted into culs-de-sac. 37signals was a good name, but Basecamp was an even more widely known brand, and no less respected. As for customers, the old products they liked could be sold to other companies. Finally, a consensus emerged that betting on one product was less risky than losing focus. “Put a few eggs in one basket and watch that basket very closely,” says Hansson. As is often the case, not everything worked out quite as planned. Would-be buyers for some of Basecamp’s discontinued products insisted on taking key staff along with the intellectual property. For Fried and Hansson, this was a deal-breaker; they didn’t want to lose their top talent. In the end, they wound up spinning off Highrise into a separate operation (with Basecamp as the majority owner). The other products have been kept available to users but are not being updated. As for the company, it is, by all accounts, thriving. Basecamp doesn’t disclose profits or revenue, but Fried says they’re higher than ever. Whether they’re as high as they might have been had the company hired a lot more employees and fully developed its other product lines is beside the point. By focusing on its historic core—and demolishing buildings outside of it—the city of Leipzig spurred a renaissance. In the early 1990s, Larkin Street Youth Services in San Francisco was working hard to place homeless teenagers into jobs, hoping that steady employment would set the kids on a path to a stable life. The hitch was that most of them weren’t ready. And so Larkin Street opted for a different approach: It would acquire its own businesses, which could then hire and nurture these troubled teens. That was how Juma Ventures was formed. While Juma encountered any number of obstacles, it grew at a fast pace, fueled by funding from foundations and private businesses amid a Bay Area boom. By 1996, Juma had acquired two Ben & Jerry’s franchises, partnered with a company operating ice cream trucks and set up an ice cream concession in Candlestick Park. By 2000, it was selling both coffee and ice cream in Pacific Bell Park, the new home of the Giants, providing nearly 200 kids with jobs. That year, it also launched an “Enterprise Center” in order to incubate new ventures. All of this made Juma a pioneer in what has become known as social enterprise, and many people admired it. The intent was to scale up and start similar programs in other cities. Big plans were hatched. By 2002, however, it was clear that some major rethinking was in order. The dot-com bust had dried up a lot of nonprofit funding, and the business side of Juma was not yet self-sufficient. When the organization stepped back and took a hard look at the impact it was having, it also realized that it was missing the mark in some ways. Juma and its board came to some hard decisions: The organization should cease, at least for the moment, trying to expand. It was time to get back to essentials. Leading the charge was Jim Schorr, who’d been heading the Enterprise Center and had recently taken over as Juma’s executive director. One of his first moves: getting Juma out of the ice-cream-shop trade. “For some staff, it was hugely traumatic,” he says. But Schorr saw little benefit in keeping businesses that were losing money and provided relatively few jobs. “We were a bit too scattered in our portfolio,” he says. Instead, he wanted Juma to double down on sports concessions. “The beauty of the business model is that it’s labor-intensive; you can have 100 to 125 kids a game selling ice cream and coffee at a ballpark,” Schorr notes. What’s more, there was no rent to pay. While Juma was getting rid of its ice cream shops, it also bolstered its support programs: educational assistance, money management courses and health classes. And over time, it changed the mix of kids it was serving so that those from more stable backgrounds would act as role models for others with bigger problems. None of this restructuring—shoring up the business side and improving program delivery—would have been possible without retrenching first. Juma’s expenses went from $4.6 million in 2001 to $2 million in 2006. “We had to clean and to start anew,” says Sam Cobbs, who was Juma’s associate executive director during the cutbacks. After a few years of regrouping, the strategy paid off. The organization entered into a partnership with food services provider Aramark and opened concession operations at the Oakland Coliseum. Its finances were soon strong enough—and its impact on young people’s lives demonstrably powerful enough—to justify expanding around the country. Today, under CEO Mark Spencer, who took over in 2006, Juma has built up its stadium concessions sufficiently to give kids year-round work, and it is active in New Orleans, New York City, Oakland, San Diego, San Francisco and Seattle. Its business side is in the black, and nearly 700 kids are provided with work each year, earning more than $1 million in wages. Juma, whose budget now stands at more than $6.5 million, also has a more precise mission these days: helping low-income youth earn a four-year degree. Leipzig, Germany, has produced a lot of famous names: Bach, Goethe, Mendelssohn and, in the present day, Chancellor Angela Merkel, who went to university there. But it has also had some bad luck. Its population peaked more than 80 years ago, when the city had 713,000 inhabitants. After a steep fall in size during World War II, Leipzig regained residents until the mid-1960s. But it then began to lose population again—this time for more than three decades. The initial causes of Leipzig’s population drop were lower birth rates and a policy by the communist regime of East Germany to spread industry across the country rather than allow it to concentrate in any one location. But Germany’s reunification in 1990 had an even more drastic effect. Eighty percent of the factory jobs that existed in the city disappeared in just a few years, and unemployment shot up to 20%, where it would stay for more than a decade. With the Berlin Wall torn down, Leipzigers not only had the freedom to leave, thousands lacked a reason to stay. Between 1989 and 1998, Leipzig lost 100,000 people—a 20% decline. Likewise, some 60,000 apartments, about a fifth of the total stock, stood vacant. The economics of such shrinkage are ruthless. Housing ceases to be a good investment because demand keeps going down. Many services must continue at nearly as high a level as before—maintenance of water lines, transportation routes—but fewer taxpayers can support them. In Leipzig, those services were stretched even thinner when, in 2000, the city wound up annexing its suburbs. “Just when we should have been reducing the size of the city’s infrastructure, reducing the size of sewage and water supplies, we found ourselves paying to expand them,” a senior planning official later remarked. Initially, Leipzig officials viewed the outflow as a temporary condition that would be succeeded by vigorous growth. But, unlike their peers in most other municipalities, they eventually came to a very different place: They faced up to reality. In 2000, Leipzig became one of the first cities in the world to incorporate shrinkage into its planning. Soon, officials came up with something called the “concept for development of Leipzig east,” which involved tearing down decrepit buildings alongside existing green areas and connecting the open space into larger expanses of nature. At the same time, they concentrated on developing a single area: Leipzig’s historic core. They encouraged retail development and put in place incentives for owner-occupied housing in the old city. They also tried to lend out older buildings to organizations that promised to repair them—a “House with Guardians” program. All of these ideas made sense. But the truth is, few of them panned out as originally imagined, if they panned out at all. Only a dozen or so organizations took advantage of the House with Guardians program. Central Leipzig, the most attractive part of the city, was already drawing interest from developers and did not need special incentives to take off. Plans to create contiguous swaths of green were foiled by market realities that left rehabilitated buildings abutting condemned ones. Visions of lush urban forests thus gave way to a patchwork of vacant lots, pocket parks and parking lots. And yet, despite the seeming failures, the city’s fortunes quietly began to turn. Leipzig University expanded its enrollment, drawing several thousand young people into the city. BMW, DHL and Porsche opened large facilities in the area. Cheap rent compared with the rest of Germany attracted artists, some of whom gave rise to the “New Leipzig School” of painting. The city’s population began to grow, passing the 500,000 mark in 2005, a significant increase from 437,000, its low, in 1998. Today, Leipzig has a population of about 550,000, and travel writers call it the “New Berlin.” A few years ago, one Leipziger concerned about the hipster influx dubbed the trend “Hypezig” and posted a Tumblr asking people to “please stay in Berlin.” But the term Hypezig only added to the city’s appeal. So what, exactly, went right? “Why Leipzig managed to come back and other cities did not is still poorly understood,” says Marco Bontje, a professor of urban geography at the University of Amsterdam who has studied Leipzig for a long time. Good fortune, such as the arrival of BMW and DHL, played a major role, he says. It did not, like Buffalo, build costly new infrastructure for a nonexistent surge in arrivals. And it did not expand government employment as the tax base shrank. Indeed, even as Leipzig managed to increase pay for government workers, it eliminated enough positions to reduce overall expenditures on personnel by a third. 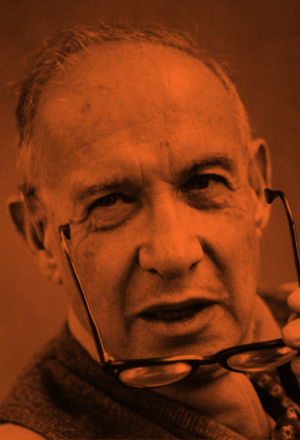 Work through Peter Drucker’s framework for systematically figuring out which products, services, processes and activities to abandon, found in his 1964 book Managing for Results. If your organization is expanding at a high rate for an extended period, take a step back with your colleagues and analyze whether such heady growth may be causing stresses, weaknesses and hidden defects. Open a candid dialogue with your senior team and explore where getting bigger may have come at the expense of getting better. Companies often grow more complicated rather than growing more profitable. They offer too many products, employ too many people, do too many things. There’s much more money, however, in doing fewer things and doing them right. Sanjay Khosla was president of Kraft Foods International when he decided to change the company’s approach to global expansion and concentrate on fewer regions and offer fewer products, with the effect of increasing annual sales threefold over five years. 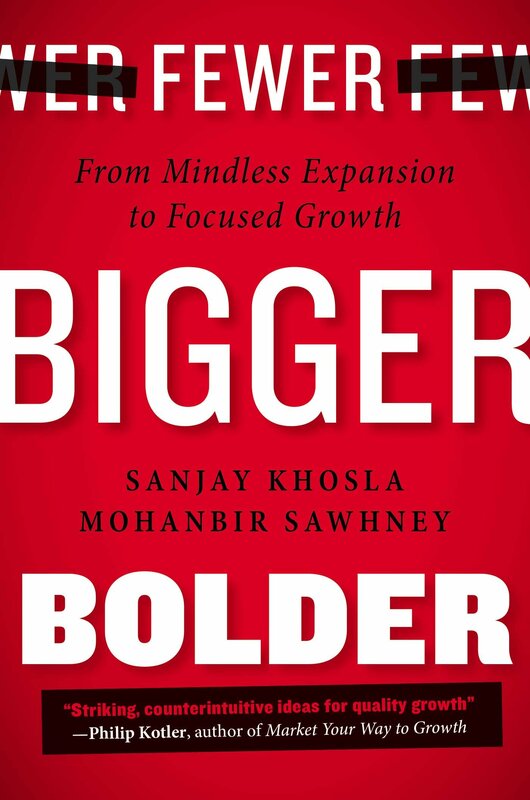 Khosla and Kellogg management professor Mohanbir Sawhney describe in this book how pruned and focused growth beats every other kind. The German city of Leipzig is one of the world’s most studied cases of urban shrinkage (a loss of a fifth of its population in a decade) followed by recovery (speedy population growth for a decade). 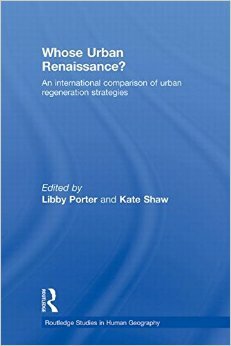 As part of the collection Whose Urban Renaissance? (Routledge), scholar Matthias Bernt examines one of Leipzig’s central strategies for dealing with population loss: demolition of housing stock. What he finds is an array of policies that produced results quite different from expectations.